Have you discovered the power of habit sequencing? Odds are you have, and you’re just not aware of it. It might be your morning routine, your commute, or your nightly entertainment ritual. We all make chains. Sometimes they bind us, and sometimes they liberate us by helping us group important things together. Habit sequencing can be a powerful tool if utilized intentionally. It takes the power of a habit (something you do repeatedly without needing to think about it or exert willpower over) and contextualizes it, putting it in its proper place alongside corresponding habits, so that you end up with a synergistic routine that serves you well. My latest custom-made sequence is the synthesis of Ready to Run and The Running Revolution; specifically in regards to pre and post run stretching. Both of those books threw a lot of new info at me, and it would have been easy to feel overwhelmed or inefficient in my application of their teaching. So I took notes, tried the exercises they recommended, highlighted the ones that worked best for me, and then put them together in a logical order. I’m not gonna lie. It was work. But now that I’ve memorized exactly what to do before and after a run I can do it rather effortlessly and without much thought, which frees up mental RAM for me to focus on other things like podcasts. Is there a new discipline or routine you’d like to implement in your life? Try sequencing. Break it down into its individual parts. Get granular. Practice it repeatedly. Modify as needed. 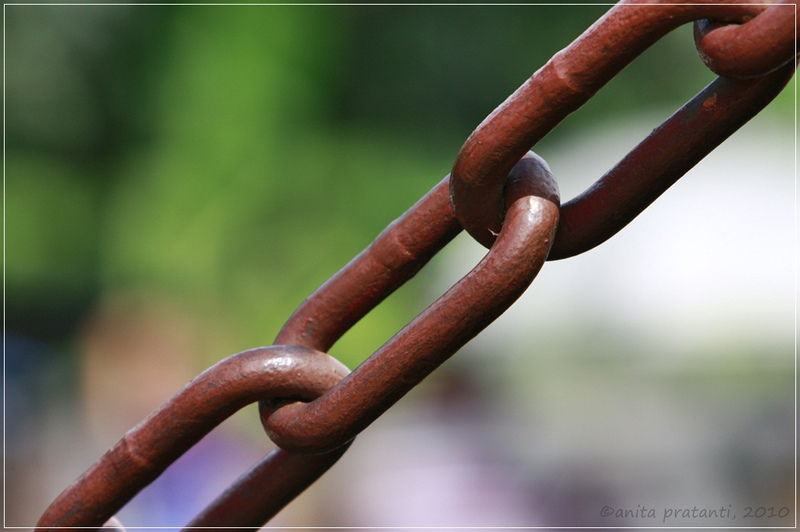 Before you know it, you’ll have a chain in place to help you bind it all together.